Do the demands of your family, career and life commitments feel never ending? Are you looking to reduce your stress or to live an easier, more balanced life? Start your journey now and open the door to a completely new world, the world of intuition, spiritual healing and subtle energy. Discover simple, revolutionary, and proven techniques that will help you achieve the results you desire and deserve in all areas of your life – personally, professionally and spiritually. Unlock your intuition and transform your life with our unique home study program approach. The distinct spiritual healing tools, strategies, insights and principles we provide will help you to hear your heart’s song, learn to trust your intuition, inner knowing and build skills so that you can move forward in your life with mastery. Our Spiritual Healing For Personal Growth program is the foundation course for all of our certification training programs. Look deeply and honestly at your life. Gain a comprehensive background in spiritual self-healing. Utilize specialized tools that will promote physical, mental, emotional and spiritual health. 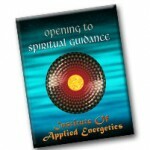 Tap into universal information for healing and spiritual growth. 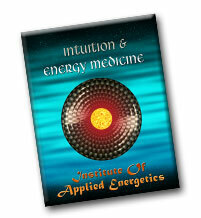 Examine and evaluate the health of your aura and chakras intuitively. Recognize, interact, manipulate and heal your subtle energy. 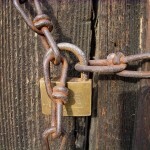 Create a safe environment to support your inner transformation. Acquire the valuable skill of speaking the language subtle energy. You will also receive one-on-one telephone and email support directly from Dr. Rita Louise. She will support you throughout your studies and help you to excel. You with have the opportunity to ask questions, receive guidance and discover deeper insights to your courses and hands-on studies. Our Spiritual Healing For Personal Growth distance learning program provides the best combination of theoretical knowledge, hands-on training and practical experience to ensure practitioner competency. Check out the courses being offered. Are you serious about really making a change? Our Spiritual Healing for Personal Growth program will help you personally learn, witness and experience these changes for yourself. Take action now and live the life you deserve, a life filled with feelings of centeredness, increased mental and physical health; and best of all, one with an increased sense of inner peace. This is a great course anyone interested in developing your intuition, self-healing and personal growth. You will notice improvements in your self-awareness, decision-making, personal relationships, business or career. In fact, you will see improvement in all aspects of your life. It is also the foundation course for all of our certification training programs. Now is the time to take your life to a new level. Getting started in the Spiritual Healing For Personal Growth training program has never been so easy. You will receive everything you need to transform your life. Enroll now and you will gain access to all of the resource you will need! Give yourself this gift and invest in your success today. Your rewards will be everlasting. Take advantage of our amazing prices and affordable payment plans!